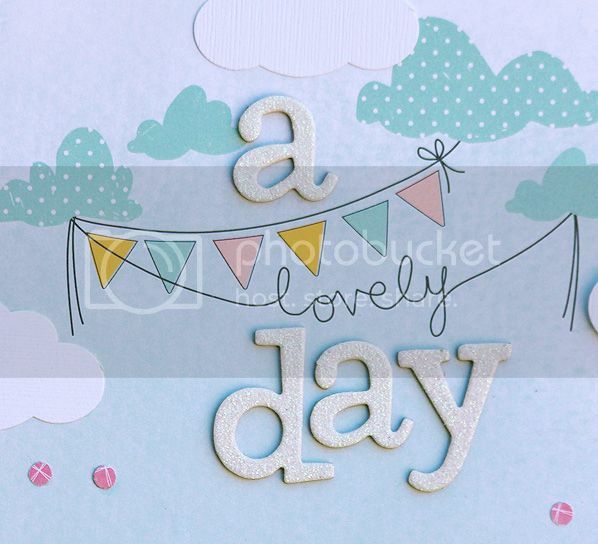 I have another layout to share that I made with the April main kit from My Creative Scrapbook. I just love the colors in this months kit, so bright and springy, and as you can see, it all works perfectly with old black and white photos too. It's my mom and grandma in the picture. My parents had bought their first home, and my mom had taken my grandma by to see how things were coming along as it was being built. What a great photo for our family history album! I added in a few extra clouds that I punched out of cardstock, sprinkled some confetti here and there, and used the wording on the patterned paper as part of my title. Oh, and how very cool is this layout that Ashli Oliver made using this layout I did a few years back as her inspiration. That's the very, very best thing about scrapbooking, the inspiration we get from each other! What a cool photo to have! Beautiful page. Love the clouds you added! 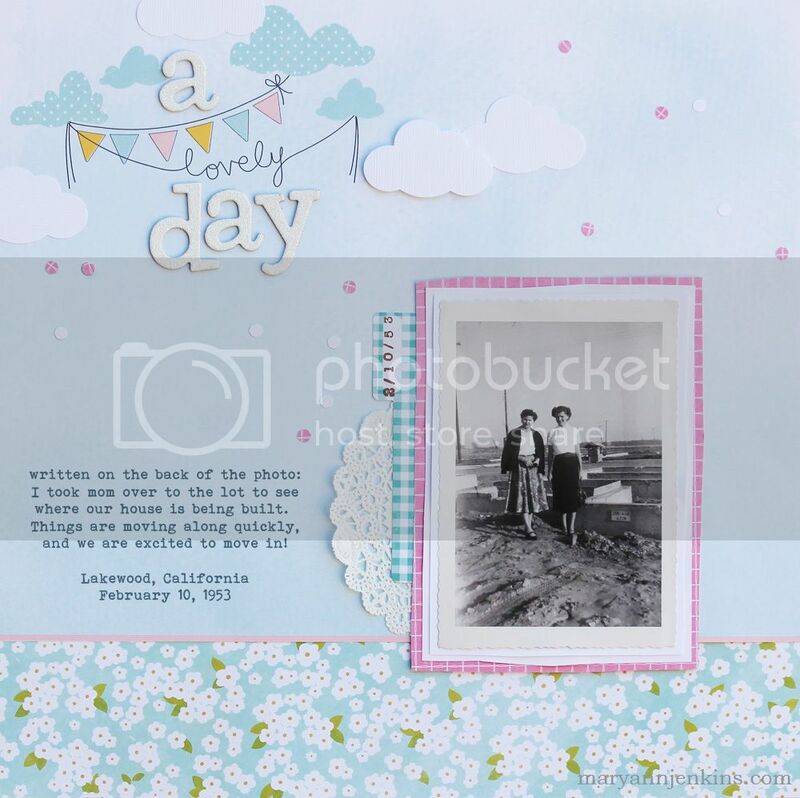 I adore this layout, Mary Ann! Great job, and great photo! This is a spectacular page! Those colors are a wonderful match with the B&W photo and the punch of color from the confetti and the die cut clouds really pulls it all together. I really love this!! What a beautiful layout! I love the old photo and the description of what is written on the back. Oh, I love pages with old photos. This is beautiful with the banner and cloud. I love how you made the title for this page. Great layout for a family album!! Another awesome heritage photo, Mary Ann!! I love the soft colors on this layout! I am just absolutely loving how you are scrapping these heritage photos!! I want to have a podcast about scrapping heritage photos and I'm going to be telling people to visit your blog because truly, you have done the best job of anyone I know scrapping old pics!! Love this!